Most of the media hate Sarah Palin. Given the hyperfocused offensive targeted at her, the simple conclusion is that the left-wing establishment views the former Alaska governor as the greatest threat to the current Democratic monopoly on power in Washington. Certainly Mrs. Palin's book tour is generating a lot of enthusiasm across the country, with thousands of admirers flocking to each stop. The book itself, "Going Rogue," was locked in at No. 1 on best-seller lists for weeks before it was officially available for sale. Mrs. Palin's appearance on "The Oprah Winfrey Show" attracted the largest audience the program has enjoyed in two years. Given the critical media assault, Americans wouldn't have a clue that her new book discusses weighty policy issues such as the benefits of the free market and lower taxes, the limits of government regulation, "cap and trade," foreign policy and states' rights or that Mrs. Palin has a Facebook blog providing excellent critiques of the government takeover of the health care industry. CBS squawked that the book was the work of a ghostwriter, as if that would be a novelty for a politician. Associated Press devoted an unprecedented 11 reporters to "fact check" Mrs. Palin's book. The wire service did not conduct similar reviews for accuracy of recent books by liberals, such as the late Edward M. Kennedy, Vice President Joseph R. Biden Jr. (when he was a senator), Barack Obama (before he was president) or autobiographies by Bill or Hillary Clinton. Nor was such a thorough examination conducted on recent political books by Republicans Rudolph W. Giuliani or Newt Gingrich. 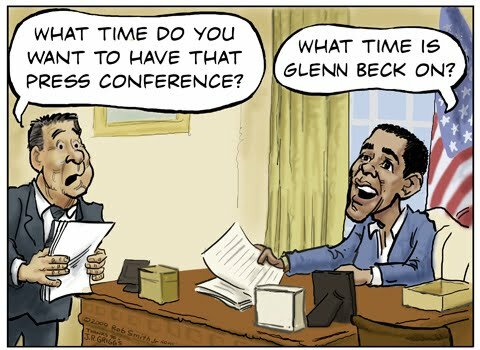 We are still waiting for the same media outlets to dismiss President Obama's speeches on the grounds that they are ghostwritten. Newsweek managing editor Dan Klaidman declares that "there have been these questions about her gravitas, about her seriousness." If Newsweek's argument isn't convincing, the magazine's choice of a cover photo of the former governor in very short jogging shorts was meant to add to the overall impression. Newsweek must have been desperate to get that picture showing her somewhat scantily clad because the publication broke a contract that the photo would be used only in the runners magazine for which it was taken. 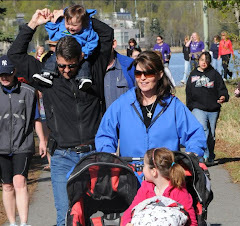 Mrs. Palin is an avid runner, and the shot was appropriate for its companion story in Runner's World. Newsweek's headline on the cover is equally bizarre. "She's bad news for the GOP - and for everybody else, too," it states somewhat hysterically. Time magazine apparently also tried to get hold of this racy portrait. Not to be outdone in sexist innuendo, MSNBC's "Morning Meeting" host, Dylan Ratigan, resorted to the trick of doctored photos by showing Mrs. Palin's head juxtaposed on a supersexy female body clad only in a bikini or an exceedingly short skirt and open blouse. Where is the outrage from feminists? 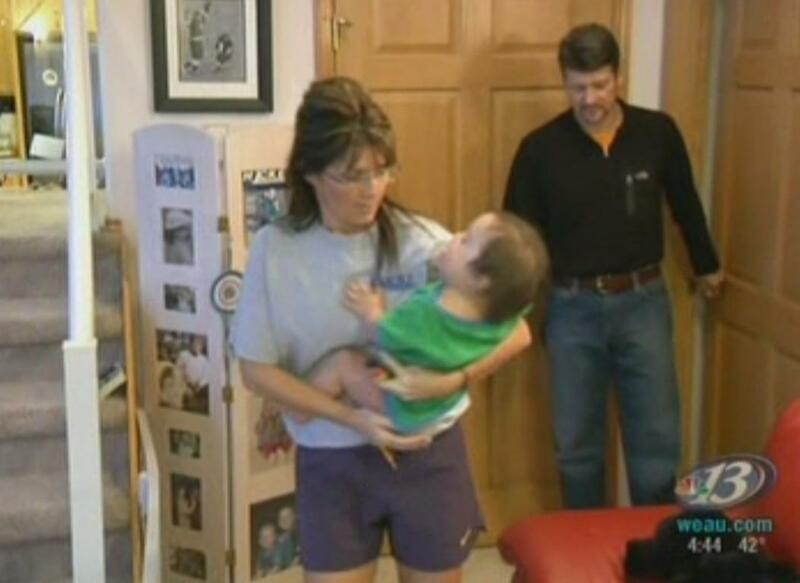 Mrs. Palin has a tough job ahead to try to overcome this media onslaught. But all the attention should inspire the former governor, too. Her political appeal scares the left, which is quite an endorsement. What's She So Angry About? Oh, Schmitty. Whassa matter? Can't take what you dish out (lip quiver)? Steve Schmidt, who managed the campaign and is a chief target in the book, doesn't think much of "Going Rogue. "....Schmidt gave his verdict on the book, due in stores Tuesday, in an interview with me: "It's total fiction," he said. Just to address some of the claims: Trevor Potter, the campaign's counsel, told The Atlantic that the campaign did not bill Palin for vetting. Schmidt told me it's "not true" that he used an obscenity in front of Piper. As for the $150,000 tab for Palin family clothes and accessories, "Her account talks about the fact that she was resistant to all this stuff. That's just not true," one campaign aide told me. This aide's take: "The book fully reveals her. Dishonest, small and petty." ....The aides themselves are both shocked and not shocked. "People knew that's what she was like" but they are nevertheless incredulous that she published a book like this, one of them told me. "It's like, 'What's she so angry about?' She was picked to be vice president of the United States. She had an exceptional opportunity. Everything is someone else's fault. There's no accountability. It's mean-spirited. But if you look at the record, it is what it is." And then the article goes on to cite the AP "fact-checking" article that has been proven to be way off base and the Huffington Post. I know, I know. Shocking, isn't it? We know for a fact that she did complain about the clothes and was in no way responsible for the $150,000 bill. Even Palin's enemies have admitted that. So, Schmitty just lost any last shred of credibility. Oh, I don't know. Maybe that you guys called her a whack job, among other things, and leaked to the press about her like the little sissies that you are. She kept this stuff under her hat - you guys were the ones that went whining to Carl Cameron. 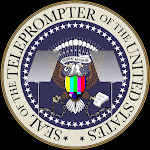 It's not uncommon for there to be tension between the P and the VP teams; what's uncommon is for staffers to whine to the media about their own candidate. Just proves to me that you cared more about your own political skin than you did about winning. And I have to say, I thought that Palin was gracious to the McCain staffers in the book. She was neither small nor petty. Of course, you would have to actually read the book to know that. Contrary to the media reports that make it sound like she hates the world, Palin was extremely good-humored and even made some excuses for the actions of the McCain staffers. The media line that she's out for blood is a myth. Read the book for yourself if you don't believe me. It's nothing like the media is painting it. It is candid, to the point, and funny. Really funny. The lady has a sense of humor. I just added a bunch of new screencaps to Team Sarah. With the possible exceptions of Richard Nixon and George W. Bush, no modern era politician has been more derided by the media than Sarah Palin. And the attacks do not stop with her. They include nasty rumors about her family and even the mocking of her children. 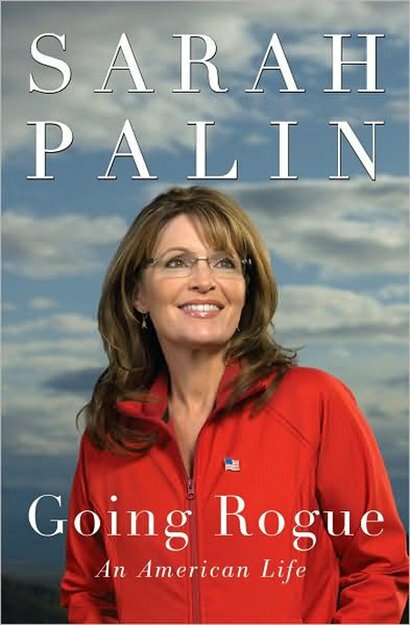 Palin has responded to some of the vitriol in her new book, "Going Rogue," hoping to give readers her side on controversies like the expensive clothes, the interview gaffes and Alaska's "Troopergate" case. How have the media received the former Alaska governor's side of the story? Not well. She is being called a whiner and an ingrate, among other things. Uber-liberal Cynthia Tucker of the Atlanta Journal-Constitution says: "There is absolutely nothing in Sarah Palin's past that suggested she was ever going to let the past go. She's always been petty. She's always been vindictive." Let's get this straight: Media people like Tucker can hammer Palin all day long, but if she defends herself, she's petty and vindictive. Aren't the American media swell? It is worth noting that the left has not been able to knock Palin out despite trying very hard. A study by the Culture and Media Institute looked at a two-week period during last year's presidential campaign. During that time, the nightly network newscasts ran 18 negative stories about candidate Palin for every positive story. Fair and balanced? Give me a break. Somehow Palin has gotten under the skin of the far left. Feminist Naomi Wolf and crazy-left Washington Post columnist Eugene Robinson put forth the latest propaganda. Independently, they dubbed Palin the new Evita. What are the odds of Wolf and Robinson, who operate worlds apart, both referencing Argentine Eva Peron at pretty much the same time? Coincidence? Sure. Peron was a demagogue who appealed to the common man. She was also an incompetent leader. The song "Don't Cry for Me Argentina" has immortalized her. So I am expecting a new song, to be sung by Bruce Springsteen, entitled: "Don't Cry for Me Wasilla, Alaska." I hope the lyrics aren't whiny. My theory is that liberal America fears Palin. Even though a CBS News poll has her approval rating at just 23 percent, a whopping 37 percent of respondents say they are still undecided about the former governor. That means millions of Americans are potential converts to her populist cause. Bad news for the left if the country turns against the Obama administration. 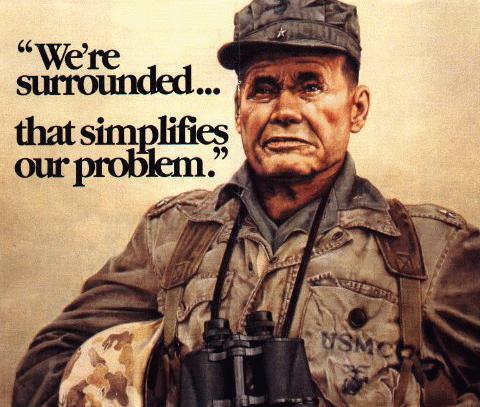 Thus, the liberal media are hunting Palin, trying to drive a stake through her heart once and for all. But the woman is tough, wily and unafraid. She's driving them crazy. "May we always be happy, and may our enemies know it!" I gotta say, it's a great read. Even if you hate Sarah Palin, even if you don't think she's qualified for anything above dogcatcher; if you don't believe a word she says - it's still a great read. Take it as a great piece of fiction, if nothing else. It's funny as all get-out. That's what I took away the most - how hilarious it was. I also had to reshape a few of my opinions. Given what Palin had to say about her legislative director, I guess I can throw my John Bitney post in the trash. As far as accuracy goes, look: this is her story from her perspective. I take everyone's point of view with a grain of salt, including hers. Five people can see a murder and walk away with five different accounts of the murderer. And I don't expect every conversation in there to be verbatim the way it actually happened, obviously. You don't remember every word that was said twenty years later. But she can't preface every conversation with the disclaimer: "I don't remember the exact wording, but it was something like this...." You should be able to figure that out by yourself. I loved her personal stories. I loved her stories of the thoughts going through her head during the campaign. It was flat-out funny. When she described the staffers emerging from the bus and lighting cigaretts walking away looking like a cloud of smoke with legs... It's just funny. The stuff Joe Biden was doing before the debate... crack me up. She presents a different take on some things than what I thought was the truth. It's interesting to me what she included and what she left out. I'm not going to go into detail - you're just going to have to read it for yourself. Read it - even if you hate her guts - it's entertaining if nothing else. Just popping in real quick to say that I uploaded five videos to my You Tube channel. Kristan Cole and Chuck Heath on Eddie Burke yesterday. I can't do this! Despite my best efforts, I'm running into "Going Rogue" spoilers all over the place. I want to read the book for myself without having the juicy details spoiled beforehand. However, this is proving impossible to accomplish. Therefore, I have decided to get lost for a few days. C4P will take good care of anyone who frequents this blog, I'm sure. 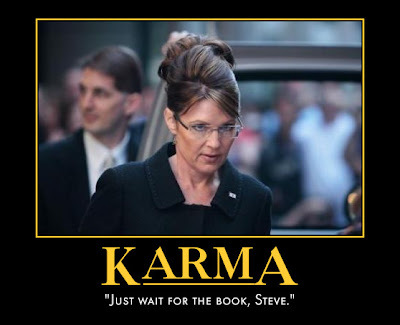 I'm even thinking of skipping Palin's interviews until I have a chance to read the book. I'm not a big fan of spoilers. There's no book signings anywhere near me, so I'll have to settle for savoring the book itself. (sigh) We'll see. Good luck, fellow barbarians. Enjoy the coming Week of Sarah. If nothing else, it's going to be a lot of fun! See you in a few. Palin Wanted to See Andrea Mitchell Fish-Slimed! Of course, Mitchell quotes the flawed AP article, but what did you expect? Also, a good article here about Sarah Palin vs. the 21st Century Progressive. Clifton B. talks about the experience on his blog here, here, and here. Robin of Conservative Black Woman touches on it here. And Adrienne Ross talks about it here. The book tour starts this week, and I look forward to it! I'm most looking forward to meeting many of you, shaking your hands, and telling you,"Thanks for loving America." I'll give you a scoop here and tell you what's on the book's Dedication Page – it's dedicated to you – Patriots – who love the U.S.A. as much as I do. Amazingly, but not surprisingly, the AP somehow nabbed a copy of the book before it was released. They're now erroneously reporting on the book's contents and are repeating many of the same things they spewed during the campaign and afterwards. We've heard 11 writers are engaged in this opposition research, er, "fact checking" research! Imagine that – 11 AP reporters dedicating time and resources to tearing up the book, instead of using the time and resources to "fact check" what's going on with Sheik Mohammed's trial, Pelosi's health care takeover costs, Hasan's associations, etc. Amazing. Ah, it's probably a coincidence. I think they actually got it from Mark Steyn. Still, Sarah reads C4P! She gets a kick out of the antics of Nancy and and the girls too, I'll betcha! "I come from Arkansas, I get why she's hot out there; why she's doing well. People look at her, and they say, 'All those kids. Something that happens in everybody's family. I'm glad she loves her daughter and she's not ashamed of her. Glad that girl's going around with her boyfriend. Glad they're going to get married.'" Clinton said voters would think, "I like that little Down syndrome kid. One of them lives down the street. They're wonderful children. They're wonderful people. And I like the idea that this guy does those long-distance races. Stayed in the race for 500 miles with a broken arm. My kind of guy." She's an instinctively effective candidate and with a compelling story," Clinton said in an interview with CNBC. "I think it was exciting to some that she was a woman," said Clinton. "I think she, I get why she's done so well. It's a mistake to underestimate her. She's got good intuitive skills. They're significant." If they had handled Sarah the Bill Clinton way, they wouldn't have ticked off the ordinary barbarians the way they did. That Chicago machine way is going to backfire, big time. Bill Clinton is a natural politician. He's an instinctive politician. So is Sarah. I do not agree with the Clintons at all, but I never thought I'd see the day that I'd looked back on the Clinton years as rosy. I honestly don't care too much about the bow to the Japanese. But he didn't have to go all the way parallel to the floor. A slight head bob would have sufficed. And Liz Cheney defends Palin against Juan. I'm sorry, Juan, did I hear you say "no reason?" My temperature just rose about ten degrees. Everybody should stay clear of me for at least a few minutes. Alaska Gov. Sean Parnell says he has the best interest of polar bears at heart, but he doesn't intend to let the federal government's expanded protection for bears get in the way of the state's continued prosperity. Like his predecessor, Sarah Palin, the governor is suing the federal government to overturn the listing of the iconic symbol of the Arctic as a threatened species, a move made last year that he believes could threaten Alaska's lifeblood: petroleum development. "Currently some are attempting to improperly use the Endangered Species Act to shut down resource development," Parnell says. "I'm not going to let this happen on my watch." Sean's a good guy. He's got near the approval rating Sarah did for awhile. I actually think that his approval rating is really Sarah's. It's what hers would have been had all of this political partisan junk not followed Sarah back to the state after the election. As soon as the partisan junk was gone, the approval rating shot right back up. But that's just my opinion. I don't live there. 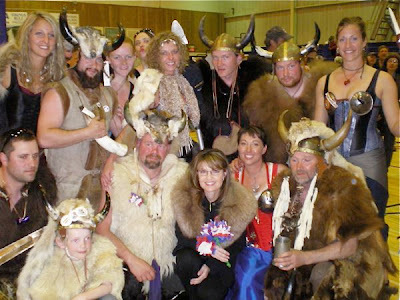 The uniquely Midwestern accent of former vice presidential candidate Sarah Palin caused some University of Wisconsin researchers to wonder why a person who grew up in the small town of Wasilla, Alaska would sound like someone from the movie "Fargo". Phrases like, "you betcha" and her habit of dropping the "g" in words that end in "ing" ("talkin" instead of "talking") moved three UW linguists to trace her speech roots to the Midwest. The researchers determined that her speech was heavily influenced by the people who settled the Wasilla area in the 1930s from Minnesota, Wisconsin and Michigan. I just thought that was kinda cool.